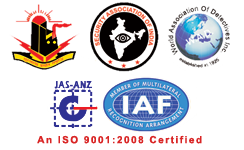 This is to certify that M/S CD SAFETY & SECURITY SERVICES PVT LTD is providing us the Security, Vigilance & Detective Cover Services since last 25 years. The services provided by them are very efficient and prompt. During the tenure of their services, they are maintaining good discipline in the premises. The company provides trouble free services. The company is professionally managed and has a discipilined efficient workforce. This certificate is issued to them on their own request.